The Ease of Fiction presents the work of four African artists living in the United States as the foundation of a critical discussion about history, fact, and fiction. The artists, ruby onyinyechi amanze (b. 1982, Nigeria), Duhirwe Rushemeza (b. 1977, Rwanda), Sherin Guirguis (b. 1974, Egypt), and Meleko Mokgosi (b. 1981, Botswana), present recent paintings, drawings and sculptural works that explore issues of cultural identity, personal agency, and the very notion of "African art." The exhibition’s title evokes the idea that people are often more comfortable accepting or believing what is told to them by those in power, rather than challenging and investigating the authenticity of information presented as historical fact. Interweaving their personal experiences and memories into broader historical contexts, these artists create work that is in strident opposition of passive acceptance. The artists' cultural backgrounds, as well as geographic diversity, create an opportunity for a provocative examination of varied perspectives of the truth. Although these artists are from four different African countries their work addresses universal issues that are relevant across all borders. 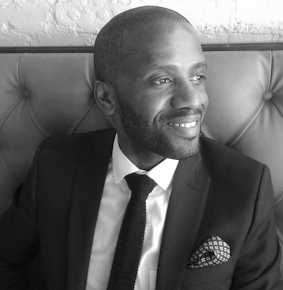 Dexter Wimberly is an independent curator based in New York. A passionate collector and supporter of the arts, Wimberly has exhibited the work of hundreds of artists in the U.S. and abroad. Wimberly maintains a critical dialogue with artists throughout the world by way of his exhibitions, public programs, and talks at galleries and public art spaces. Wimberly is the former Director of Strategic Planning at Independent Curators International (ICI). He currently serves on the board of The Laundromat Project. Wimberly has organized exhibitions and programs for Mixed Greens Gallery; Driscoll Babcock Galleries; 101 Exhibit; Edward Tyler Nahem Fine Art; bitforms gallery; Koki Arts, Tokyo; the Museum of Contemporary African Diasporan Arts (MoCADA); and The University of North Carolina, Chapel Hill; among others.